Christmas is a time for giving and I don't mean just giving gifts. Giving to someone isn't about getting them the most expensive or big gift. It's about showing the person you love them by giving them a gift from the heart. That's why gifts that are hand-made work so well. Not everybody can afford to give gifts and not everybody wants to give gifts. That's why acts of goodwill work so well. They are really from the heart and show how much of a loving time person you are. Not only this but you are helping someone else out massively so you make someone happy. If you are someone that has been wanting to do acts of goodwill for a long time but can't think of any ideas then that's why I am here. This blog post will be telling you some ideas where you can help someone that needs it. Everywhere in the world, there are local charities that you can help support. This is a great way to give back to the community and help someone in need. You can either donate to a charity or go down there are offer your services. By doing this you are giving a helping hand to those that need it and helping the charity owners out. Charities are a great cause! So pop down to your local charity today and see what you can do to help. Have you ever walked passed a stranger and they smiled at you? Remember the feeling you got from that? Felt good, didn't it? Well, why not smile at someone to make their day. You never know what is going on in other people's lives. By smiling at them you could have just turned their day the right way up for them. A smile goes a long way. If you are a dog lover like me then this is a great one to do. I know a lot of people that have dogs that are unable to walk them. I bet you can find at least one person too. Offering to walk their dog will help them out a lot and they will be very grateful for it. It frees them up to do other things and allows you to get some fresh air. It's a win, win really. There you go a few things that you can do to give back to your community. 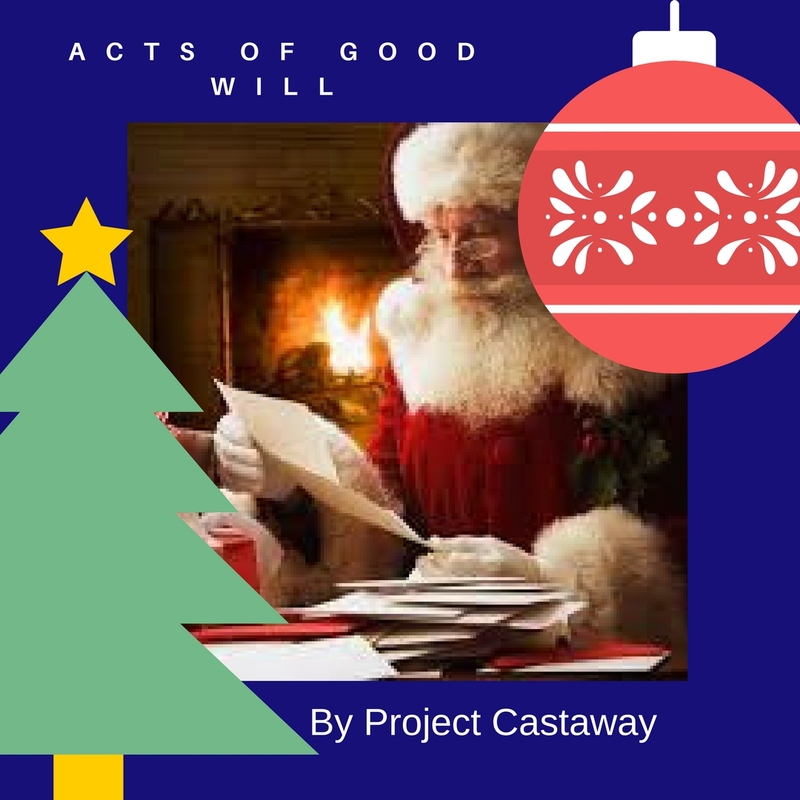 Doing acts of goodwill is such a lovely thing to do (even more so at this time of year). Remember it doesn't matter how big or small the good deed is. Just enjoy whatever it is you decide to do. These are just a small amount of things you can do, let me know in the comments what you do?